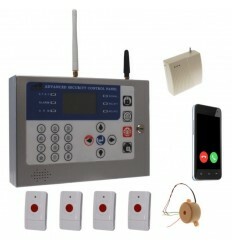 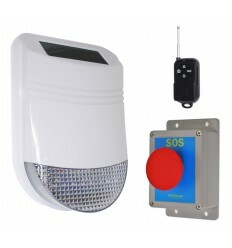 Wireless HY Outdoor Solar Powered Siren Panic Alarm & Battery GSM Auto-Dialler, supplied with 1 x Portable Wireless Panic Button, designed to help protect staff working outside the main premises or in more isolated Buildings. 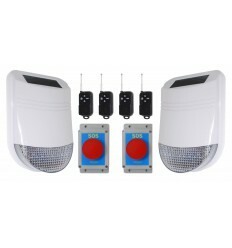 1 x Wireless Solar Siren & Flashing Strobe. 1 x Portable Panic Button. 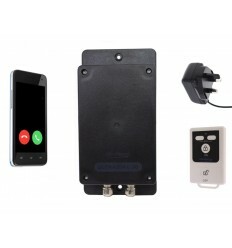 1 x Battery Powered GSM Auto-Dialler. 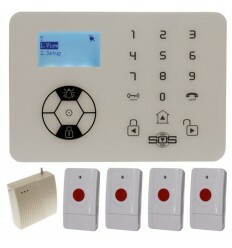 2 x Remote Controls (one for the Siren, one for the Auto-Dialler). 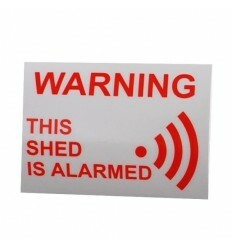 Ideal for helping to Protect Staff working Outside the Main Premises, in the Yard, in the Loading Bays etc or in more Isolated Buildings (the siren will notify anyone close to the vicinity whilst the GSM Dialler will contact key-holders by Phone & SMS as a backup !!). 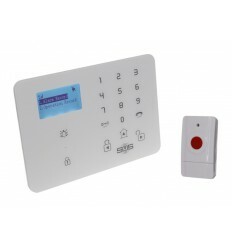 The Portable Panic Button is supplied with a Lanyard to help carry it around your neck, the operating range back to the Solar Siren is approximately 300 metres (line of sight), which equates to around 100 - 150 metres in most applications. 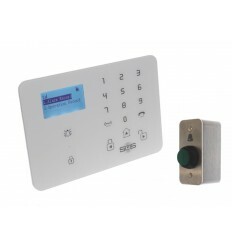 The Remote Control supplied also has a clear SOS Button option together with a sliding flap to save unwanted false alarms, ideal for staff to carry around or place on a forklift etc. 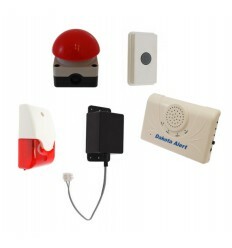 These same Remote Control can be used to Disarm the Siren (before the pre-set time duration) after an activation. 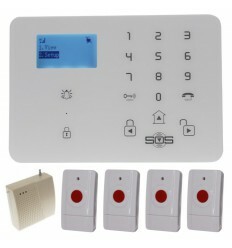 The Siren has a loud 105 Decibel Siren and bright Flashing LED's (when triggered) and can be set to 30 seconds or 3 minutes (3 minutes is recommended in this application), if Help is required the Siren can be activated by simply pressing the SOS Button. 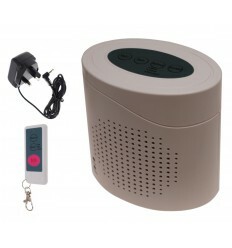 Connected to the Solar Siren by a short length of cable is our unique Battery powered GSM Auto-Dialler (UltraDIAL) which is designed to contact up to 3 x Key-holders by Phone (with your own pre-recorded message) & Text message if triggered. 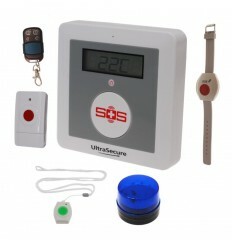 The UltraDIAL is fully weatherproof so can simply be mounted next to the Solar Siren, however it can easily be moved further away (by lengthening the cable) should this be required (perhaps to get a better mobile signal etc). 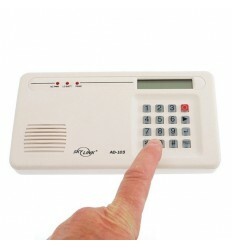 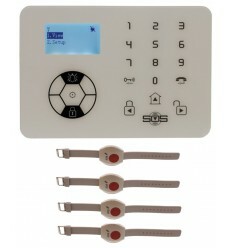 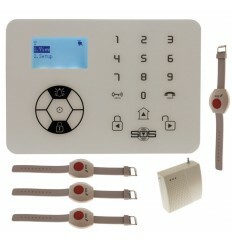 The UltraDIAL is Armed & Disarmed using the Remote Control supplied, when a Key-holder receives a Call they have the option to press # (which disarms the Alarm and stops it calling other Key-holders) or * (which prevents the Alarm calling the other Key-holders, but keeps it Armed ready to operate again), if nothing is done then the Alarm will Call up to two further Key-holders and send a Text Message to all Key-holders. 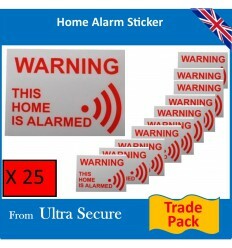 Once activated the Siren & Auto-Dialler can be Disarmed using the relevant Remote Controls (supplied), additional ones can be purchased. 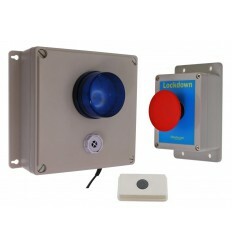 Panic Button (100 metres wireless range) a simple single red button and wrist strap. 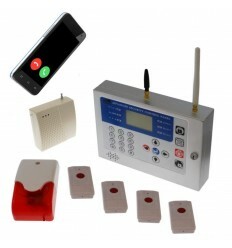 Remote Control (150 metres wireless range) which can trigger the Siren but can also turn the Siren OFF after an activation, ideal for supervisors or management. 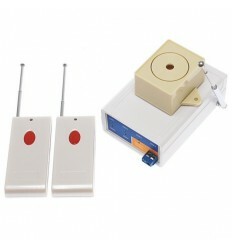 1 x Outdoor HY Solar Wireless Siren. 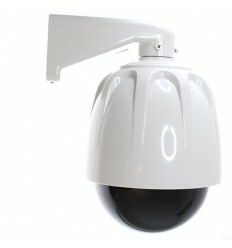 Operating Range: 100 metres (line of sight). 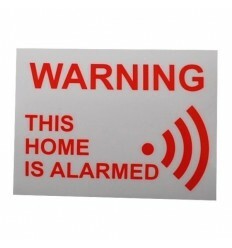 Size: 50 x 35 x 13 mm. 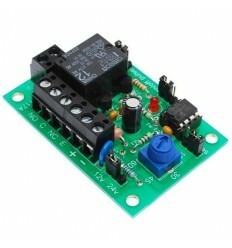 Power Supply: CR2 Coin Cell.